1. 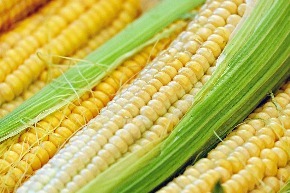 ​Process 2/3 of the corn in a food processor or blender until puréed. 2. Combine the puréed corn, remaining whole kernel corn, egg yolk, yellow pepper, cornmeal, flour, milk, chives, thyme, red pepper, salt and black pepper in a bowl and mix well. Stir in 1/3 of the egg whites. Fold in the remaining egg whites. 3. Pour 1/8 to 1/4 cup of the batter onto a hot greased griddle. Pat lightly with spatula. 4. Bake until golden brown on both sides, turning once. Repeat the process with the remaining batter. 5. Serve with créme fraîche or sour cream.